Drunk drivers continue to be a great threat to the safety of drivers all over Washington, and the recent case of Kelli Loos goes to show just how severe the consequences of having an intoxicated driver on the road can be to others. 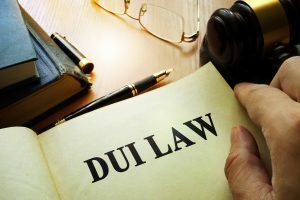 Anyone who has been the victim of a drunk driver should contact an experienced personal injury attorney in Kent about their accident and their losses. The Washington Post reports that in 2009, 33-year-old Kelli Loos got into her vehicle while intoxicated and drove. There were two men ahead of her in a pickup truck on their way home from their jobs, and she hit them and sent the truck airborne, after it which it went through a guardrail and tumbled down a 60-foot ravine. Despite the accident, Loos kept driving until she crashed later in Virginia. Both men in the truck died, and Loos was sentenced to jail. In 2015, Loos was let out of prison early and was able to get her drivers’ license back on the condition she drive a car outfitted with a device that requires alcohol-free breaths to be blown into a tube before the vehicle will start. Despite the risk of jail time and the possibility of being separated from her child, Loos got drunk less than a month after her release and attempted to start her car several times before she was arrested again. In that case, the judge handed a stiff 16-year sentence, and many praised the device that stopped her from driving. Had she not had the device, she would have been driving with a blood alcohol level of 0.16, twice the legal limit, as recorded by her attempts to start the car. Drunk driving accidents are common across the state, with King5 News reporting that DUI deaths hit a six-year high in 2015. Despite all the campaigns aimed at educating people about the dangers of driving drunk and the horrific consequences it can have, as illustrated in the case of Kelli Loos, people still get behind the wheel when they’ve had too much to drink. There is no surefire way to avoid unsafe drivers entirely, but there are some steps you can take to help lessen your chances of becoming the victim of a drunk driver. By learning about the red flags that unsafe drivers may show and knowing how to handle a dangerous driver when you spot one, you can help reduce the chances you will be in an accident. First, take note of your surroundings while you drive and keep your eyes peeled for any dangerous or erratic behavior from drivers around you. A person driving in the wrong direction on a one-way street or in the wrong lane is extremely dangerous. You should also pay attention to drivers who are seriously speeding, especially if they seem to be racing with or involved in an altercation with other cars. Other red flags include driving without any headlights on in the dark, swerving erratically, following another car too closely, failing to signal, ignoring road signs and making dangerous lane changes. By noticing drivers who are exhibiting these behaviors, you’ve already increased your chances of avoiding an accident with them. Once you notice a potentially dangerous driver, take any steps you can to get yourself away from them quickly and safely. If, for example, a driver is following you too closely, pull over and just let them pass. When you’re dealing with extremely dangerous behavior, the best course of action may be to get off of the road and call the police to report the car. Do not directly engage or get into fights with dangerous drivers. You never know when road rage could strike, and their behavior could be caused by drugs or alcohol. An intoxicated person often behaves erratically and could become violent when confronted. If you’ve been in an accident involving a drunk driver, you have rights and may be able to receive compensation for your losses, pain and suffering. Speak to a personal injury attorney about your case as soon as possible to protect all your rights.